The World Social Forum took place in Salvador (BA) from March 13 to 17, 2018 . Acarya Jinanananda Avadhuta, Acarya Ranendrananda Avadhuta, Acarya Anindya Brahmacarii, Diinabandhu (Ben Assuly) and Lokesh (Luís Fernando Zen, whose interview follows), PROUT (Progressive Utilization Theory) activists, gave three lectures during the event. 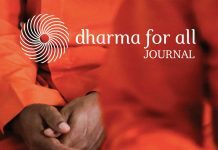 D4all Journal: What was Prout and Ananda Marga’s participation in the WSF? Lokesh – The forum was a meeting place for people interested in social change in this country. The lectures were intended to present Prout as an alternative form of social organization. Capitalism knows that it is not working, and people who are interested in social matters end up not finding other alternatives in current theories such as communism or socialism. So the lectures were very practical, talking about what is already happening in Prout in the world, and what changes Prout proposes that can gradually transform the present system to another, more human system. It was a gathering of resistance. This was the motto of this forum, which was different from others whose idea was “another world is possible”. This was something like “transformation through resistance,” because the forces of the left have been weakened. It’s a grassroots effort. D4all Journal: What is already happening in Prout, in practice, in the world? Lokesh: For example, Prout talks about economic democracy, and where does that happen in practice today? In authentic self-managed associations and cooperatives. It is the workers themselves who decide the future of the enterprise. 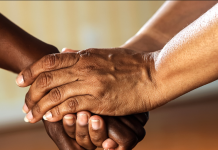 And when this happens on a larger scale — for example, in a community with many associations and cooperatives — it means that people are being taught to deliberate about their local economy. Thus, they are enabled to participate in local forums and in municipal councils that decide economic concerns in the municipality. 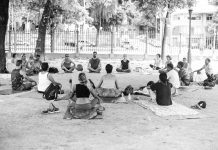 We have already had a participatory budget in several prefectures in Brazil. It began in Rio Grande do Sul and spread to other cities in the country. But when the government is voted out, another enters that doesn’t support such measures, and places that once had them no longer do. I participated in the installation of a participatory budget in the City Hall of Teresópolis in the state of Rio de Janeiro for a year. It didn’t last long. The mayor lost the election and we left. The debates were insightful, each side marshaling their arguments to sway the community’s voters to their proposal. It was a very special moment, seeing economic democracy at work. For this is what it preaches: when you take away the decision-making power over public resources from the politician, it passes to the citizen. Thus, you take away the power that corrupt politicians have nowadays. Another practical example is the idea of ​​socio-economic territories, which should seek to be self-sustainable, making sure that production and the local economy are geared to meeting the needs of the population, not producing for export, for example. An example of this, which has not evolved much due to political disputes here in Brazil, were the citizenship territories. The federal government separated some territories that had more need and began to think about special public policies for them. The role of the politician in Prout is to support these initiatives. The goal of Prout’s global movement, which is based in Denmark, is to make Prout known in the next five years. How will people going to accept Prout as an option when most people haven’t heard of it? And if, when they do hear of it, is it through an orange-robed monk or a person who has no relation with social movements? Considering this, we will continue what we did in the Forum by getting in touch with the 120 people whose contact info we took. 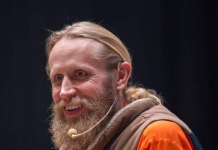 And then we are going to give a biweekly online course on Prout, with webinar lectures, along with a training course and a Prout conference, which will be just before the Ananda Marga sectorial retreat in July. The course will be open to people who are not members of Ananda Marga, and we will have special guests with specific backgrounds, for example, economists, farmers, and people studying social currency. We are finished structuring the program and in April we will announce the dates. D4all Journal: And inside Ananda Marga, where do you see Prout being particularly applied? 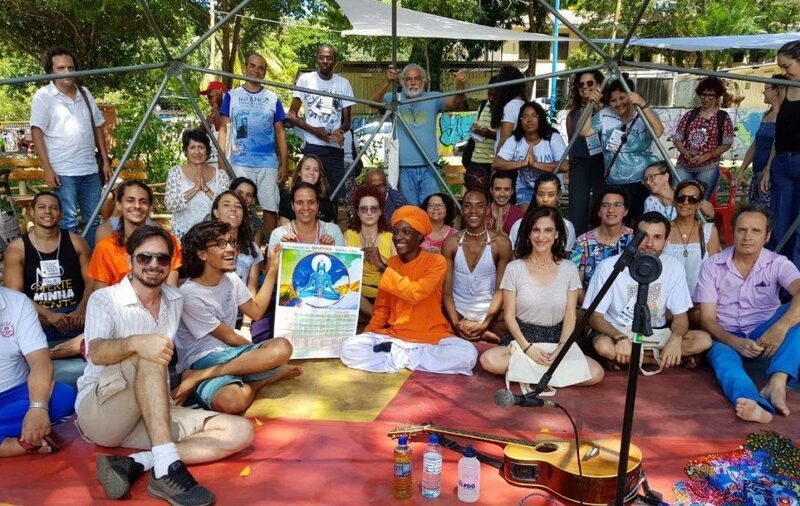 Lokesh: In the master unit of Ananda Kirtana, in Juiz de Fora / MG. The people who are living there have started a process that did not exist before and which in the next five years should lead to various projects, such as organic farming, agroforestry and a bakery. In Campinas we have an extension group at the university that works with cooperatives. We have incubators for people’s cooperatives, seamstress cooperatives, recycling, and organic agriculture, which are coordinated by margiis proutists. Learn more: The Prout webinars will start on May 14th, at 8pm, with the first class with Dada Jinanananda Avt. For more information, please write to contato@prout.io. If you still do not know what PROUT is, Lokesh recommends reading Economic Democracy, from P.R. Sarkar, published by Ananda Marga Publications, and After Capitalism: Economic Democracy in Action by Dada Maheshvarananda Avadhuta, published by Innerworld Publications. Besides the books, there are also some sites: in Brazil www.prout.org.br will have the links to the Prout study group. Another suggestion from Lokesh is the www.proutinstitute.org.